Oviedo, Florida is a city located in Seminole County Florida, USA. 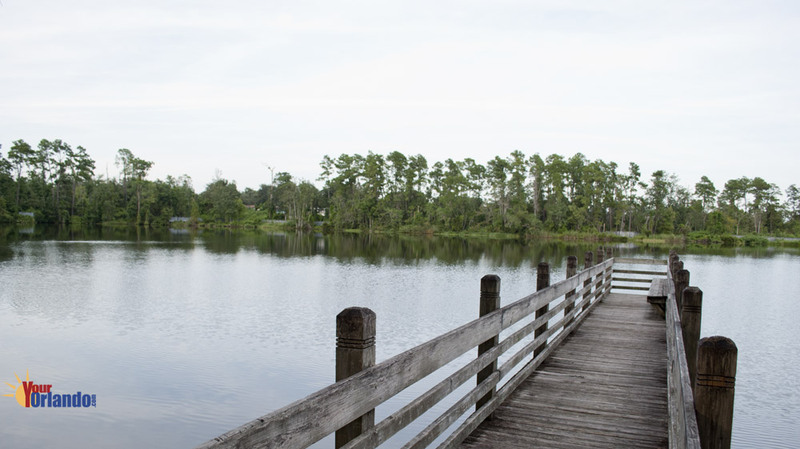 Oviedo is situated 19 miles northeast of downtown Orlando, 24 miles northeast of the Orlando International Airport, and 42 miles northeast of Disney World. Oviedo is a local favorite because of the great schools and easy access to the University of Central Florida, just 5 to the miles south. Whether you’re looking to buy or sell a home in the Oviedo Florida area, you have come to the right place. Here you can search the latest listings of homes for sale in Oviedo, schedule a property showing, or request information about selling a home in Oviedo, Florida. Buying a home in Oviedo, Florida? – If you are interested in buying real estate in Oviedo Florida, you will enjoy searching all the Oviedo real estate listings on the MLS. We pride ourselves on having all the MLS listings of homes for sale, condos, and we even have vacant land and other property listings. If you see a listing you like, or just have question about properties you may have seen while driving around, we can help you with all your Oviedo real estate needs. View today’s newest homes for sale in Oviedo, Florida. Selling a home in Oviedo? – If you’re selling a home in Oviedo, Florida, you will appreciate our no pressure approach to helping you with this potentially stressful endeavor. You will feel a great sense of relief once you request our FREE Home Valuation Analysis (CMA) of your home. While we are doing this thorough evaluation of your homes marketability, we can go over every detail of the home selling process. Should you decide to enlist the help of an expert Oviedo Realtor, you will undoubtedly be impressed by our detailed, state-of-the-art marking plan. Not only do we ensure that you know exactly what needs to be done to prepare your home for sale, we will help you with home staging, move planning and relocation assistance. While Oviedo might be one of Central Florida’s oldest communities—it was first settled some 140 years ago— this Seminole County boomtown knows how to embrace newcomers. 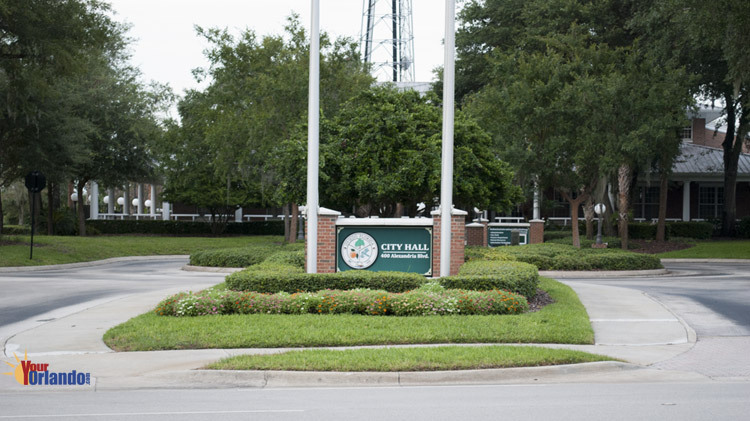 Indeed, few Central Florida municipalities have witnessed the kind of growth Oviedo has seen in recent years. The town’s population is now over 30,000—more than a tenfold increase since 1980. Oviedo’s growth was a long time coming. 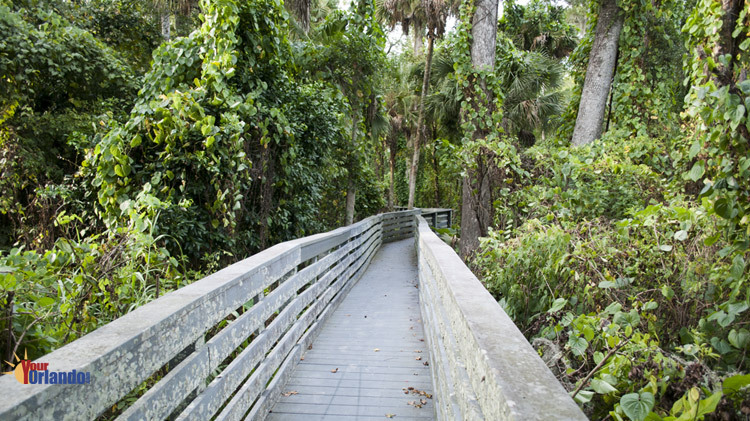 The area’s first settlers, who put down stakes near Lake Jesup in the l860s, called it Solary’s Wharf. In 1883 postmaster Andrew Aulin dubbed it Oviedo, supposedly after seeing a Spanish town of the same name on a map. Then, after the railroad arrived in 1886, the town became a major shipping point for both celery and citrus. Among the early settlers was Andrew Duda Sr., who made his fortune growing celery and founded A. Duda and Sons, today one of the world’s largest growers of sod. 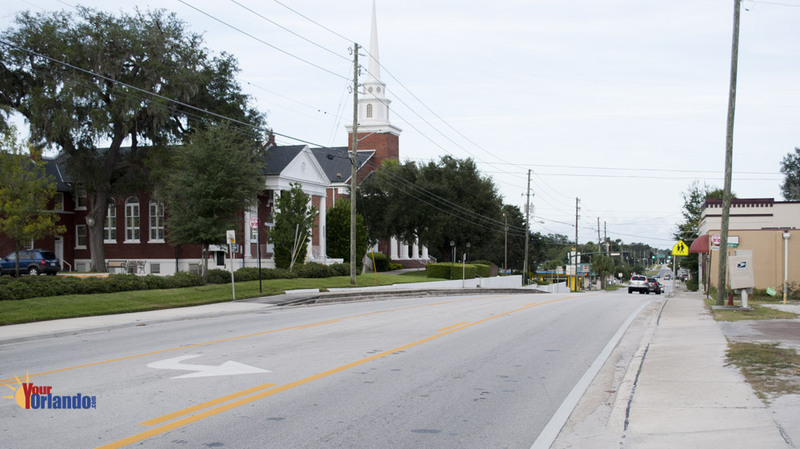 Longtime locals point to 1964 as perhaps the most significant year in Oviedo’s history. 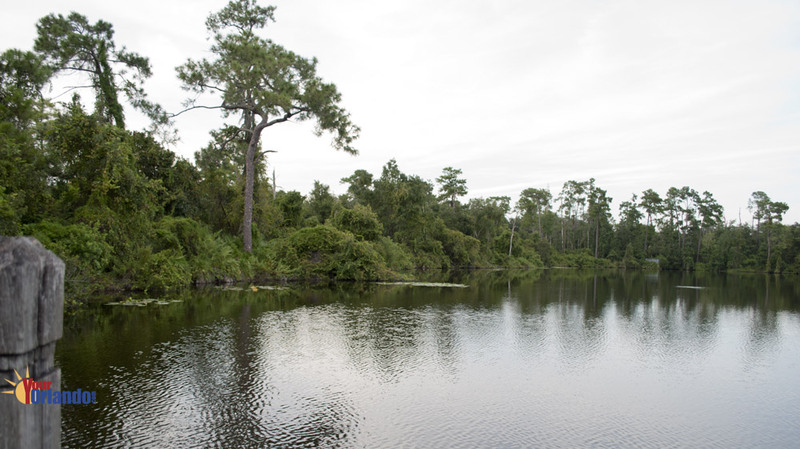 That’s when a desolate 1,145—acre tract in rural northeast Orange County, about seven miles east of the city, was selected as the site for Florida Technological University (now the University of Central Florida). Initially, the Ph.D.s and the wary farmers made an unlikely combination. 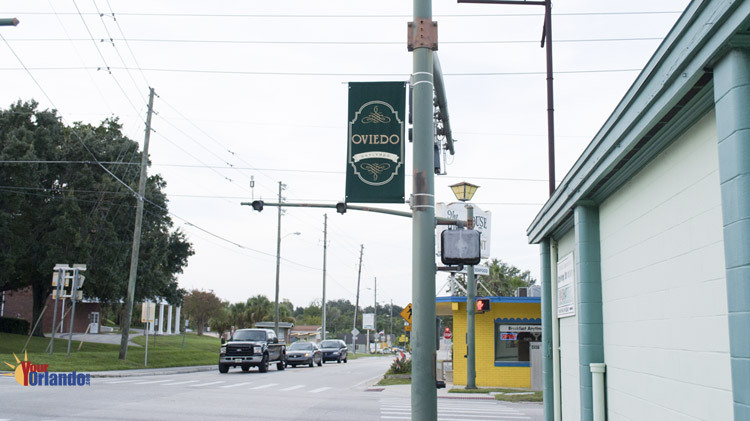 But they were united by their desire to maintain Oviedo’s small-town ambiance and to cling to its agricultural heritage. 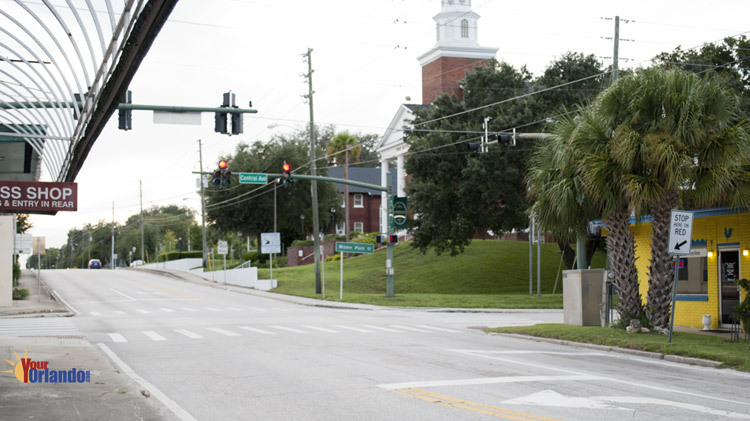 Indeed, the biggest worry among many longtime residents these days is that Oviedo’s sleepy old downtown might go the way of the long-gone orange groves and celery fields. Oviedo Place, a.k.a. 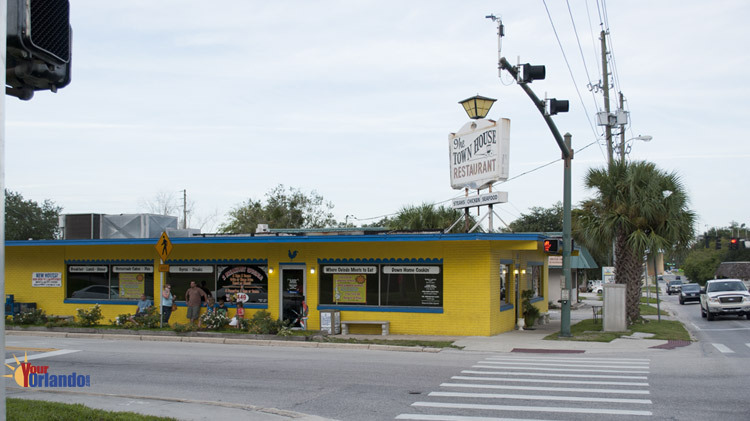 “the new downtown,” is planned for what’s now a tangerine grove just north of Mitchell Hammock Road. Not that the old downtown is particularly quaint. For those just passing through who are forced to stop at the gnarly intersection of state roads 419, 426 and 434, there’s not a lot to catch the eye: the Town House restaurant, a huge Baptist church and a two-block row of fading cinder-block buildings housing an assortment of mom-and-pop businesses. Drivers must take care to avoid chickens, unofficial city mascots who wander aimlessly across the streets and watch passers by from the sidewalks and rights-of-way. The chickens are said to have arrived—no one knows how— sometime in the 1970s, and have adopted the old down- town as their own. 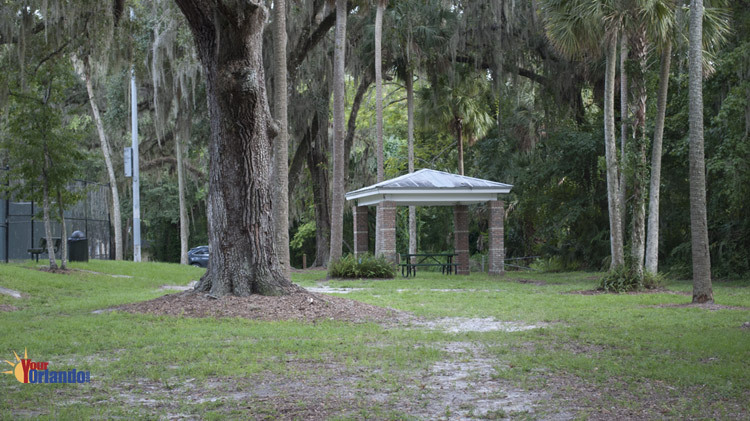 Take the time to wander the side streets, however, and an altogether different picture of Oviedo emerges, one of gracious old homes, rolling grass lawns and moss-shrouded oak trees. Indeed, the Oviedo Historical Trail lists no fewer than 85 sites, including the home of pioneer postmaster George Browne, built in 1885, and the James Wilson House, built in 1938 on Lake Charm Circle. Another big draw for relocators are the Oviedo area’s public schools, all of which received A’s when the state Department of Education handed out grades last summer.